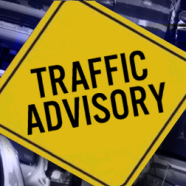 Traffic on Hanover Green Drive will be limited to parade traffic only beginning at 11 a.m. Traffic in the downtown Mechanicsville area will be shut down at 1:30 p.m. to allow for parade preparation and pedestrian traffic. The parade route will start at Signal Hill Road to Strain Avenue. The parade will travel north on Strain Avenue to Hillis Way. It will travel east on Hillis Way to Atlee Road. It will then travel south on Atlee Road to Business Route 360. The parade will end when the floats turn onto Elm Drive from Business Route 360. All roads along and within the parade route will be closed to vehicle traffic from 1:30 p.m. to 4:30 p.m. It is anticipated the area will be congested with both pedestrian and vehicular traffic for a significant period of time before and after the parade. Please plan your travels accordingly. It is the goal of the Hanover County Sheriff’s Office to facilitate the safe flow of traffic for this special event in such a way that causes minimal inconveniences to our citizens.